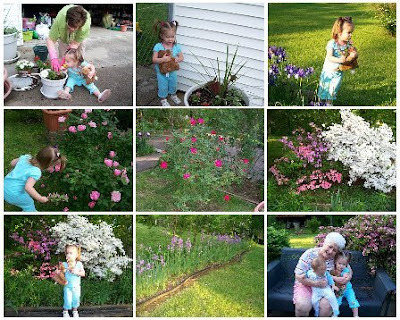 Sunday afternoon we visited Granny's beautiful flower gardens. She has a 'green thumb' like no one else and all of her flowers are so beautifully in bloom right now. We've been so fortunate this spring to have had a good amount of rain which makes everything so green and lovely. We are especially enjoying it since the drought of last summer! I hope you are able to enjoy some springtime cheer wherever you are today!